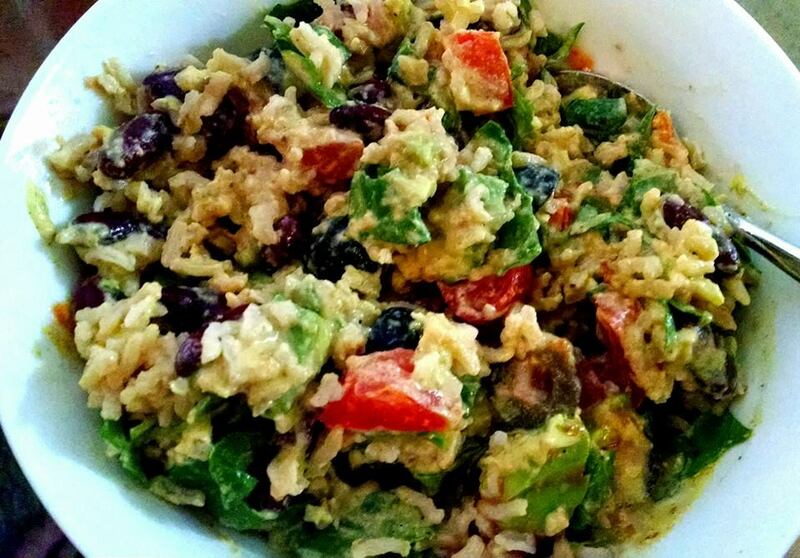 <–This Yumm Bowl: brown jasmin rice, kidney beans, yumm sauce, spinach, cilantro, tomatoes, black olives, avocado, and salsa. Put everything into a high-powered blender (Nutribullet is my weapon of choice) and blend until creamy!! This sauce comes out pretty thick so if you want to use any or all of it as a salad dressing I would just add a bit more almond milk to make it a tad thinner. OR just have a nice thick salad dressing!!! Posted on May 14, 2014 April 29, 2018 by OregonKitchenPosted in VeganTagged dairy-free, fast dinner, fast meal, fast meals, fast recipe, fresh, fresh meals, gluten-free, healthy, healthy cooking, healthy dinner, healthy meals, homemade yumm sauce, quick, quick dinner, quick meals, quick vegan, vegan cooking, vegan dinner, vegan dip, vegan lunch, vegan sauce, vegetarian, yumm sauce recipe. This just needed to be shared again!